Prepaid cards (aka smart/chip cards) are the best way to pay for transport and many other things in Osaka and the rest of Japan. The Osaka version is called Icoca and it works across Japan. Suica and Pasmo cards also work in Osaka. Here are all the details. Prepaid smart cards make travel in Japan a breeze. Buy one! The best prepaid cards for travelers in Osaka are Icoca cards, but the Tokyo versions work here as well (ie, Suica and Pasmo). JR West offers a Haruka airport express/Icoca combination ticket that is a great deal. Smart cards like Icoca, Suica and Pasmo are generally valid across Japan, so don’t worry about which one you buy. You can use Icoca/Pasmo/Suica for all trains, subways and buses in Osaka. You can also use Icoca/Pasmo/Suica at many shops, especially convenience stores. You can use Icoca/Pasmo/Suica in other parts of Japan as well. Prepaid cards (also known as stored-value cards, smart cards or internal chip/IC cards) are huge in Japan. Once you buy one and use one, you’ll never want to go back to fishing for change in your pocket every time you ride a bus or a train or buy something in a convenience store. Normal tourists can buy prepaid cards in Japan (ie, you don’t need to be a resident and you don’t even need to show ID). I strongly recommend that you buy a prepaid card, even if you plant to spend just a few days in the country. The main prepaid card in Osaka and the rest of Kansai is the Icoca card. Icoca, which means “Shall we go?” in Japanese, is issued by JR West, the national train company in this part of Japan. You can purchase Icoca cards from vending machines at JR stations in Osaka and other parts of Kansai. Both types of machines have English-language screen guidance. You can also buy these cards at Kansai International Airport (KIX). The Icoca English site has step-by-step guidance, with pictures, on how to purchase and top up an Icoca card. JR West offers an excellent deal that includes one-way or return travel between Kansai International Airport (KIX) and Shin-Osaka or Tennoji (or Kyoto) and an Icoca card containing Y1500 of credit. Here’s what you save with this deal: If you were to buy a regular one-way Haruka ticket between KIX and Shin-Osaka, it would cost you Y2330, and the Icoca card would cost you Y2000 (there’s a Y500 deposit for the card). If you take advantage of this combo deal from JR, the total fee would be Y3300, which is a savings of Y1030 yen! These combos are available at the JR ticket office at KIX. For details, see the JR West Haruka/Icoca page. How much do Icoca cost? You can buy one for as little as Y1,000 (adult/child). This includes an Y500 deposit. Before you leave Japan, you can bring the used card to a ticket office in the JR West Area (Osaka, Kansai, etc) and they will refund the deposit, minus a small service charge. Where can you buy Icoca? Buy Icoca cards at JR stations in Osaka or at Kansai International Airport (KIX). See above for details on the special Haruka/Icoca combo-ticket available at KIX. Are there child Icoca cards? Yes. And, if your children use children’s cards, they will automatically be charged children’s fares when using trains, subways and buses. There is a button on the vending machines to select a children’s card. How do you top up a Icoca card? It’s very easy to top up a Pasmo/Suica at vending machines. You top up Pasmo cards at subway stations in Osaka. You top up Suica cards at JR train stations in Osaka. Can you use Icoca in other parts of Japan? Yes. They’re fully interchangeable with other prepaid card systems in Japan. 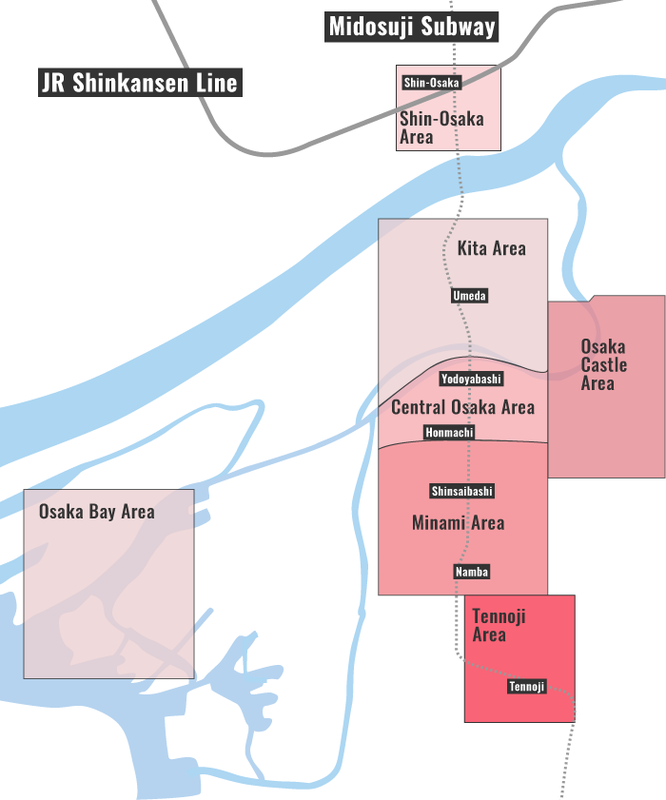 Note, however, that you cannot use a Icoca to travel out of the Osaka train system into another region’s train system. That is, you cannot use these cards to pay for a ride that begins in one area of the country and ends in another. But, once you arrive, you can use the card there. So, for example, you cannot use these cards to travel from Osaka to Tokyo by train, because you would leave the JR West area and enter the JR East area. But, you could use one to travel from Osaka to Kyoto, because you’d stay within the JR West area. And, as noted above, you can use Pasmo or Suica cards (or other smartcards from other parts of Japan) within Osaka and other parts of Kansai. Can you use Icoca in shops and vending machines? Yes. You can use these cards in most convenience stores, many shops and many vending machines. 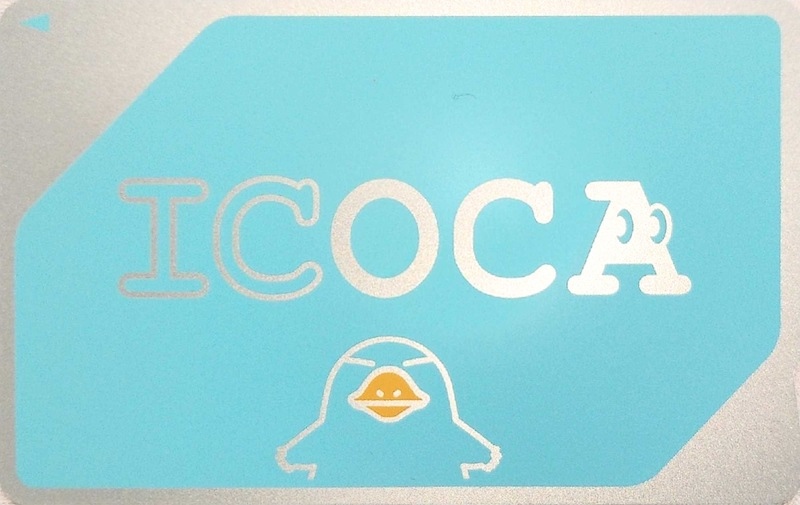 Can you use Icoca on the shinkansen? Should I buy a Icoca card? Of course! Buy one as soon as you can, ideally at Kansai International Airport as soon as you arrive!